I am really excited to share with you a project that is very close to my heart. 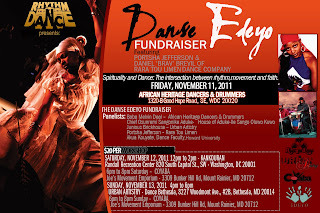 As a team member of Rhythm N' Dance we are working with The Edeyo Foundation to sponsor a 2012 Summer Dance and Drum Camp in Port-au-Prince, Haiti for The Joyous Heart School. On November 11th through the 13th, Rhythm N’ Dance is hosting the Oakland based Haitian Folkloric dance company Rara Tou Limen as they visit the Washington DC Metro area to teach several workshops to raise funds for the 2012 Summer Dance Camp in Haiti. 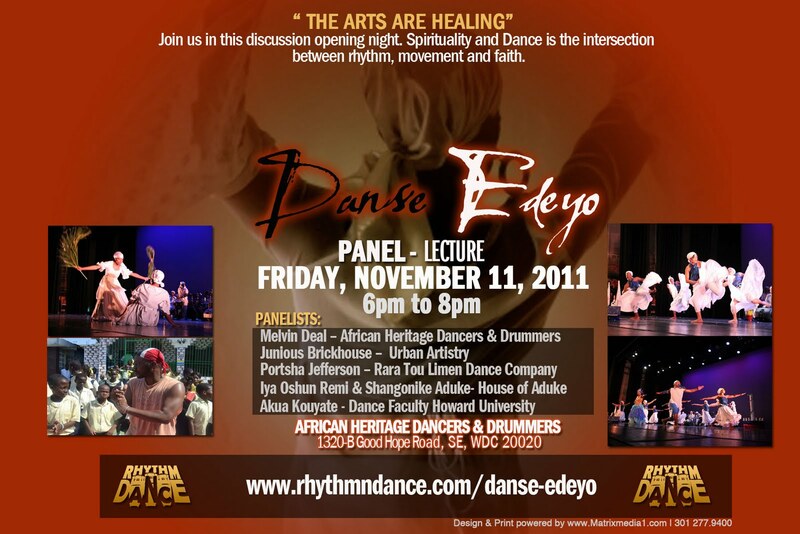 On November 11th from 6pm to 8pm, The Danse Edeyo Fundraiser begins with a free panel discussion focusing on “Spirituality and Dance: The intersection between rhythm, movement and faith”, being held at the African Heritage Dancers & Drummers Studio located at 1320-B Good Hope Road SE, Washington, DC 20020. 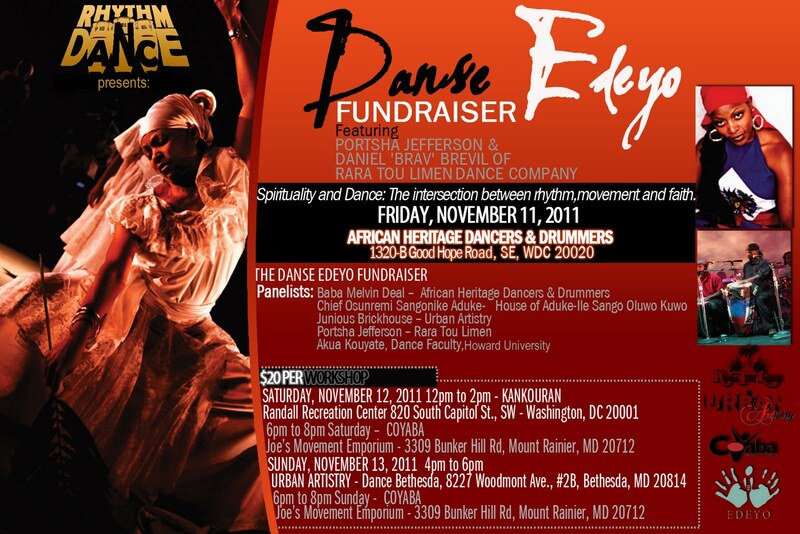 We have partnered with Coyaba Dance Theater, Urban Artistry and Kankouran to bring something new, to the DC Metro area, but to also raise money for a good cause, The Joyous Heart School in Haiti. We are asking the community to support this project by coming out to these workshops to help raise money for this program! $20.00 per workshop and group discounts for 10 or more. Please see the attached flyers for more details. 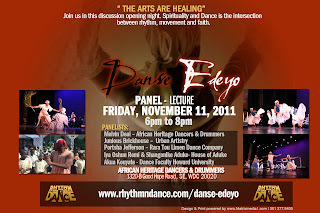 For tickets and information please visit http://www.rhythmndance.com/danse-edeyo Please feel free to share with this with people in your network interested in dance.